What d'ya think they'd want to say to us ? 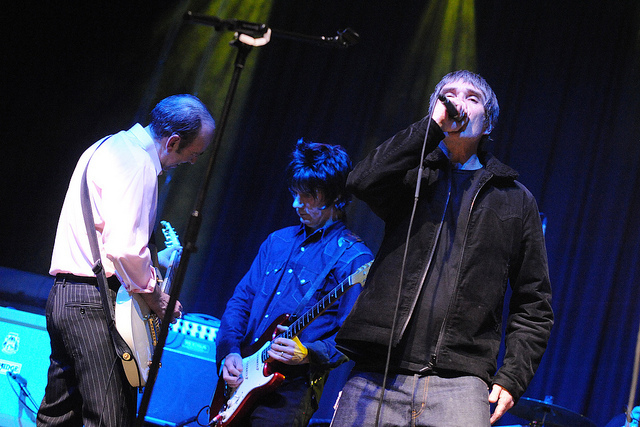 On 2nd December 2011, John Squire and Ian Brown guested on Bankrobber at Manchester Ritz. This was the first of two Clash numbers performed by an ensemble at Manchester Ritz, on the Justice Tonight tour. In 1980, Ian Brown and Pete Garner blagged their way into the recording of this very Clash song; Squire missed out on this adventure, but here, was given the opportunity to perform the song with his musical idol.